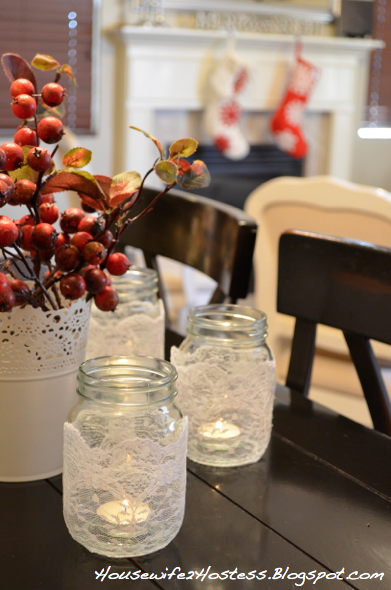 I love the cozy/vintage feel that mason jars bring to the table and I think these would be the perfect accent to any holiday display. I’m sure you’ve seen something similar, but I wanted to share my SUPER easy lace mason jar tutorial. 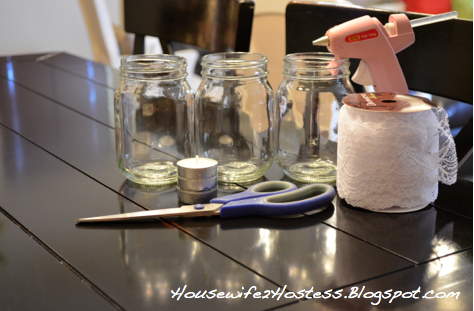 Plug in your glue gun so its ready when you are, then wrap lace around each jar. Side note; I would recommend wrapping each one individually to avoid cutting one too short. 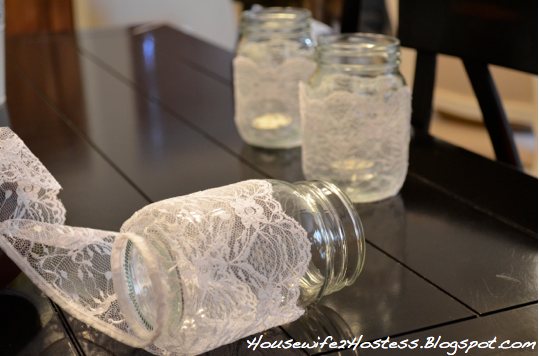 Make a vertical line of glue on the jar, just enough to hold the lace in place. Then pull tight and fortify with more glue. As the glue cools just use your hands (or a damp cloth) to flatten it against the jar. Trim away any excess lace and add a tea light candle. This would also be darling as a wedding decoration or make them using black lace for Halloween. Cute, cute. I love that, Chelsey! I’m a fan now!